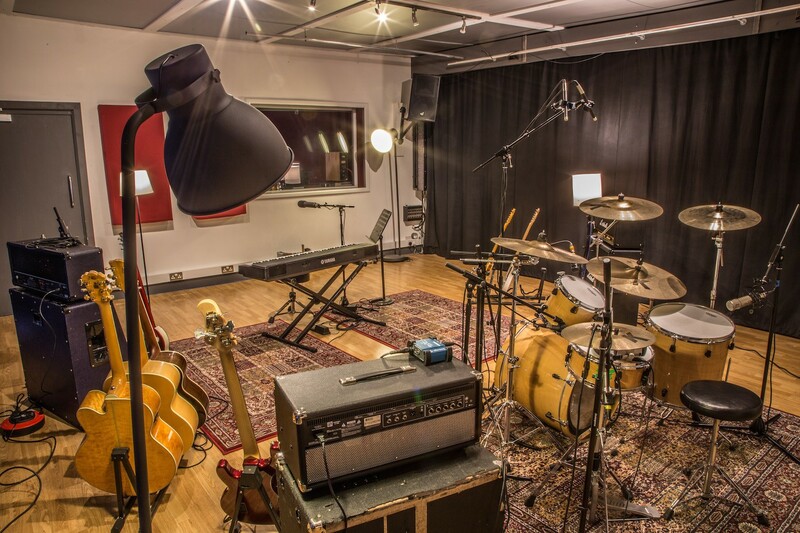 Our rehearsal space doubles up as our Studio A's llive room. We`re pretty proud of it. The gear is regularly serviced (or replaced if defective) and the heads on the drums are changed regularly too. Mic stands are disposed of if they stop being pleasurable to use (nothing worse!) and cables binned if they develop issues. And everything in the room is free to use. It's air-conditioned, there`s lots (lots) of power - it`s a professional environment for the serious player, but it`s a cool and friendly place for anyone. We like to keep the place clean, we don`t allow drinks other than water in the space and we`ve always been smoke free. There are fire extinguishers around, we have health and safety and fire procedure policies and we`re fully insured. Sometimes we hire out PA, lights and other stuff. Call Dee on 07872047896 to discuss further. We`re always pleased to hire stuff to our regulars at very reasonable rates. Our second rehearsal space is Creative Base Music Venue stage. It's an incredibly high level of spec: full range D&B C7 sound system with full independent monitoring on request (generally we just rotate the tops in the direction of the stage unless you specify additional mixes), 24 input stage box connected to the Front Of House Yamaha TF1 digital board. 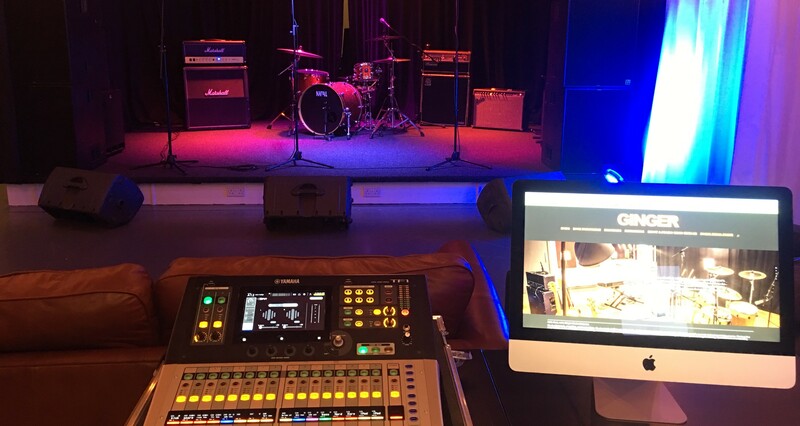 Again, there`s lots of power - it`s a professional stage environment, perfect for pre production prior to touring or for hiring for showcasing your band to agents, management, labels. We have catering facilities, including a (proper) Illy coffee machine! We have health and safety and fire procedure policies and we`re fully insured. Call Dee on 07872047896 to discuss further.